Cloud Solutions India – Your Gate pass For A Secured Salesforce Career !! 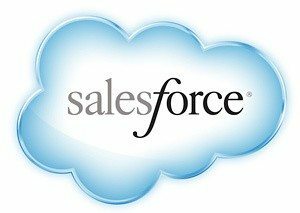 Cloud Solutions India offers comprehensive Salesforce training in Chennai through programs that are designed specially to suit different hierarchies in a sales team thereby offering a profound opportunity to up career ante of individuals. By offering a customized solution that supports every vertical in sales, and inculcating the current best practices and practical industry knowledge, Cloud Solutions India has become one of the best Salesforce training centers in Chennai. We match our training to the precise needs of the individuals or business partners. We take pride in offering a decision-maker fast track curriculum. Our team of trainers are certified and experienced individuals who are Salesforce training experts and Salesforce.com consultants for some of the top names in the IT industry in this part of the world. Our Training program is designed such that you will be educated on practical skills and product knowledge that will equip you to implement better Salesforce solutions and be the career boost you are looking for. We strive at creating competitive IT Professionals through hands on training and real time expertise thanks to our team of industry experts, Salesforce consultants and trainers. We don’t just train you on Salesforce.com; we create an atmosphere of first-hand experience by providing live projects for our trainees to work on. Are you waiting to take the plunge to learn the ins and outs of Salesforce CRM Technology that will launch your career to further heights? We take pride in our Instructors who have an in-depth, hands-on experience in Salesforce training and applications in the entire Chennai region. Our SalesForce Training combines best practices with practical information thereby enabling us to connect easily with the candidates.Our exclusive training methodology is focussed towards unique marketing goals, thereby creating a learning solution that helps map workflows and cross-channel marketing.If you looking to outperform your competition in Sales, Service, Marketing and Administration or looking for a customised training solution for your team for every vertical of your Sales force, We provide the answer to your search with either our traditional Salesforce training in Chennai or company specific end-user training. A Developer credential from Salesforce.com will help in enhancing performance levels apart from preparing you to make use of the Force.com platform to the fullest possible. 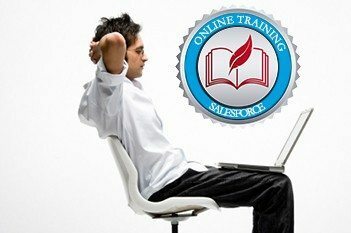 The Salesforce.com Certified Force.com Advanced Developer exam will enhance their programmatic capabilities & facilitates the development of complex business logic & interfaces on the Force.com platform. The Salesforce.com Certified Advanced Administrator certification can be taken by those administrators who have advanced level experience as a Salesforce Administrator. The Service Cloud Consultant exams are conducted to certify that the aspirant is able to successfully create and execute projects that contribute to long-term success. Though, I joined for convenience at first, I was wonderstruck at their knowledge, commitment and level of understanding. I am baffled at their work ethics and it comes as no surprise that they are being recommended as the premier Salesforce training center in Chennai . I have pushed in a few nice words to some of my team to make use of their training programs. I am a Sales Manager working with a European Company that offers services in the fields of manufacturing, construction and real estate. With development projects on hand and the need to position myself better in the industry, I was looking out for a reputed Salesforce training center in Chennai that offered me flexible timings & intensive yet practical teaching. In Cloud Solutions India I found what I was looking for. With the certification in hand, I am off to explore the European world! I’m extremely pleased with every aspect of the training at Cloud Solutions India. The instructors did a real good job, no wonder they are the best Salesforce training center in Chennai. Excellent knowledge and completely capable to answer all questions and understood us very well. The exercises too were very useful and interesting.